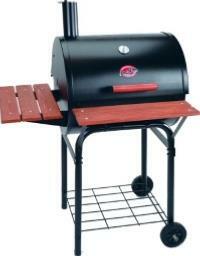 The Char-griller Combination charcoal grill and BBQ smoker. 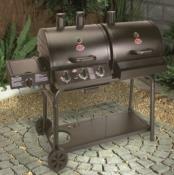 This is a heavy duty smoker which includes 3 cast iron cooking grills (super for that char-grilled taste) and a double steel bottom for durability. Enough space to smoke 2 chickens or grill for 10 to 20 persons. 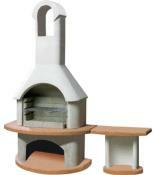 A smoker firebox can be added for that real Texas flavour. Excellent for grilling roasting and smoking. 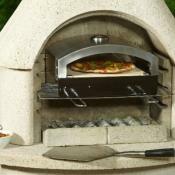 Three-piece cast iron cooking grills plus integrated warming rack. Temperature Gauge and adjustable vents for heat control. Double steel bottom and integrated dump ash pan for easy cleaning. 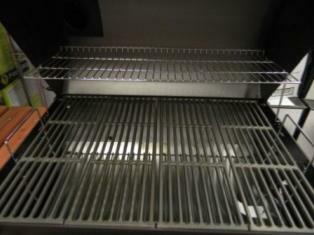 Adjustable height charcoal grates for better cooking control. Shelves at the front, side and bottom tray. Integrated dump ash pan for easy cleaning. Thermometer integrated in the hood.